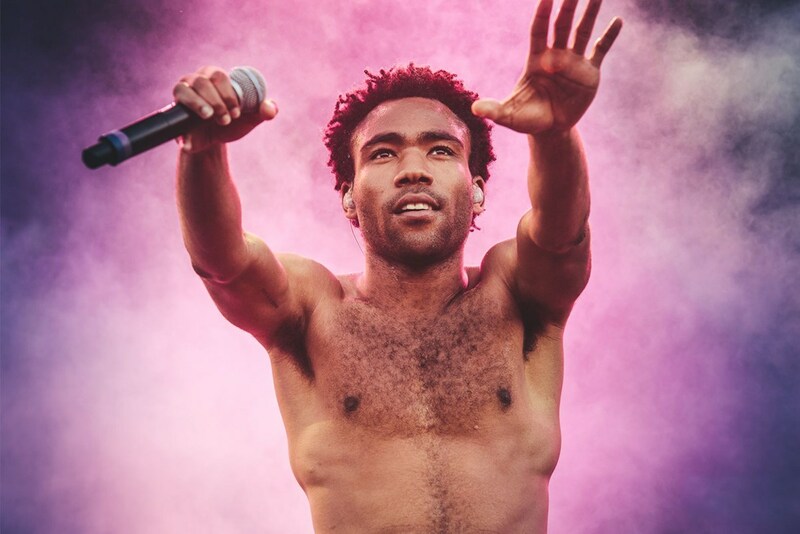 ORIGINAL POST: It’s been quite some time since we last heard from Childish Gambino, but that’s about to change. 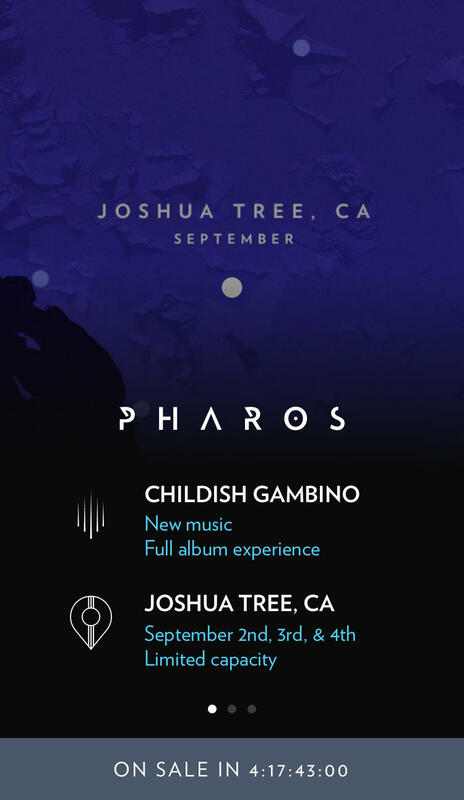 Last week Gambino launched his PHAROS Earth app with a mysterious countdown to some big news. 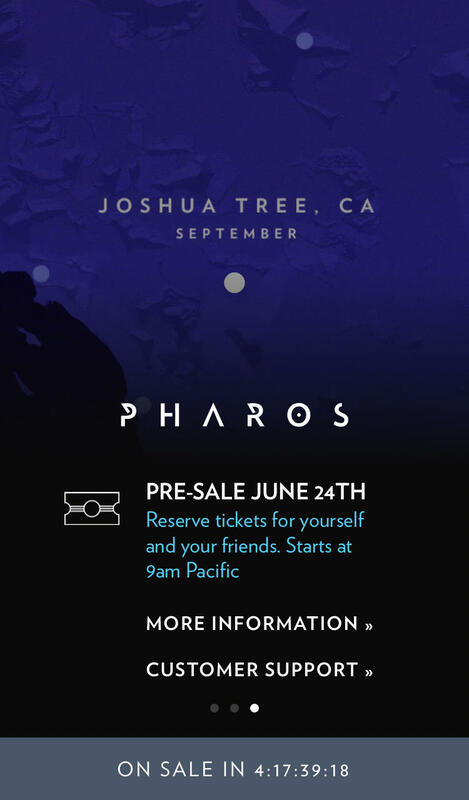 When the countdown expired at 6 PM yesterday, it was revealed that Gambino will be releasing a new album before he hosts his PHAROS “full album experience” shows on September 2nd, 3rd & 4th in Joshua Tree, CA. 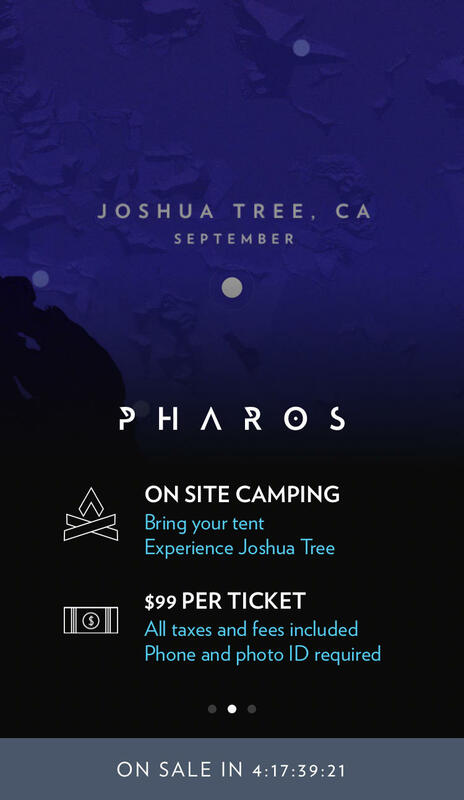 Tickets for the event go on sale Friday, see screenshots from the app below.